What is LISS? It’s large muscle group movements (like leg movements during pedaling) at a low to moderate heart rate response. We are not overtaxing the body like higher intensity exercise. It is a slower, low intensity rhythmic movement. The energy expenditure and requirements of the body during LISS, are in balance to complete the body’s work task. What is happening in the body during LISS? Two things to understand: 1. Glucose and Oxygen are necessary brain nutrients. 2. The brain lacks the ability to store large amount of glucose or oxygen, it requires a continuous supply. LISS Movement is actually increasing circulation which allows for these vital nutrients to continually travel to the brain. The end result is the brain reaching it’s optimal learning state. 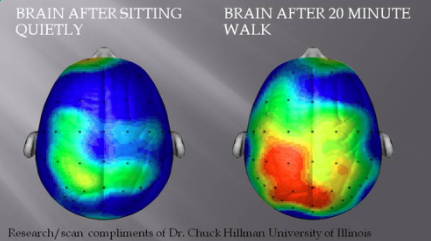 This is why movement is so important in learning! 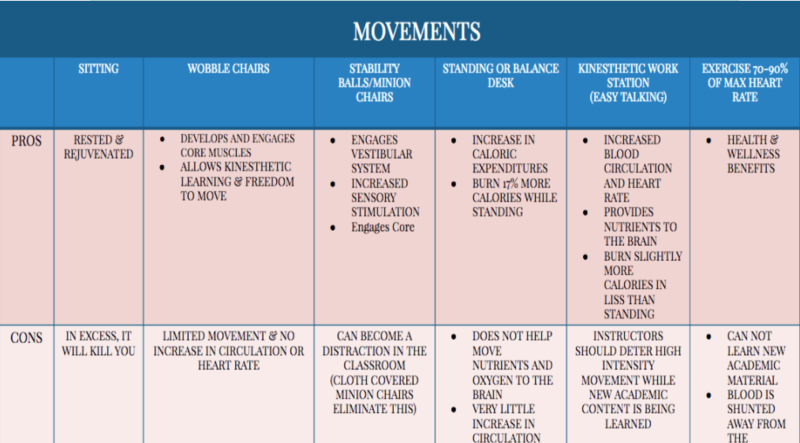 How do I know when my students are in Low Intensity Steady State?Look for and encourage slower rhythmic leg movements which provide continuous slow muscle contractions. 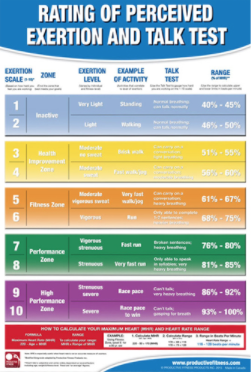 Use the talk test to measure intensity! 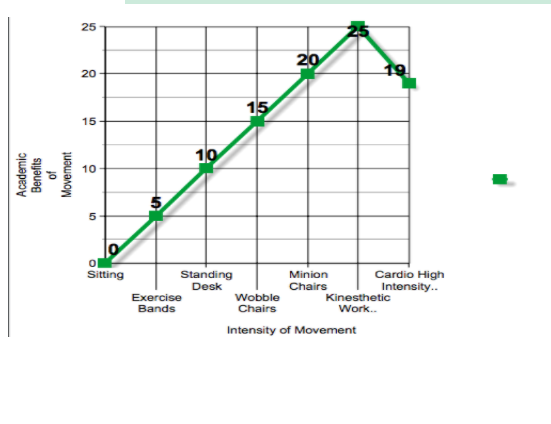 The talk test is a simple way to measure relative intensity. In general, if you're doing moderate-intensity activity you can talk, but not sing, during the activity. If you're doing vigorous-intensity activity, you will not be able to say more than a few words without pausing for a breath.